Allison Case and Andrew Kober (Les Miserables) have been friends since their days as happy Central Park hippies in Hair, they hosted a Sirius radio show together “Case and Kobes” and he officiated her recent wedding, so needless to say, they're pretty tight. 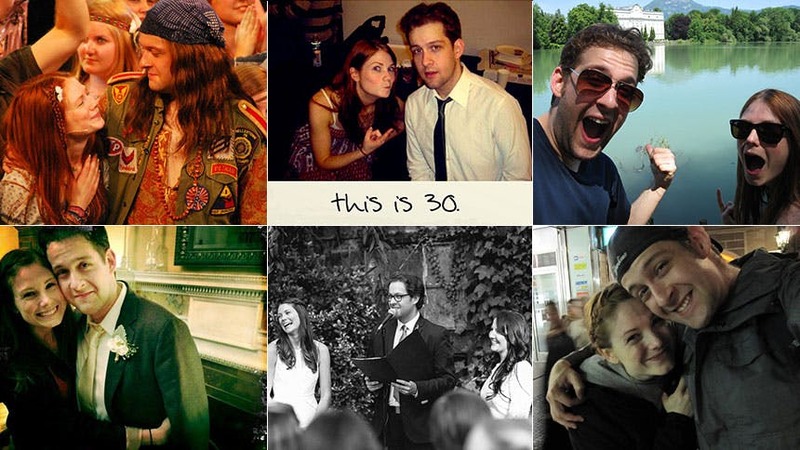 The besties are celebrating their 30th birthday [and all that goes along with it, like knowing you’ll officially never be cast in Spring Awakening or preferring to wake up without a hangover and listen to NPR on Sunday morning.] with the new concert This Is 30 at 54 Below on November 24. To mark this new phase of their lives, BroadwayBox asked Case and Kobes to make bucket lists of things they want to do in this their third decade of life—ya know, before they hit the big 4-0. I'm currently a student pilot, and I'd love to finish off getting my license by the time I'm 40. Something about flying is very freeing and very technical at the same time. There's a lot of black and white, right and wrong, but if you know what you're doing, the experience is the most free I've ever felt. When we were in Hair in London, I fell in love with travel in Europe, especially the incredible train systems. It's just the best way to travel. I'm dying to go back and ride through Switzerland on the trains. There are some incredible lines there that take you through the Alps and past incredible lakes. Just gorgeous. We'll probably have those by 2024, right? We've got to. You know how universities sometimes will award someone an honorary doctorate of whatever? I really want to be that. I'll make everyone call me "Dr. Kober" and be incredibly pretentious. I am very much looking forward to that. Ok, GROW our family, sorry Bodhi ;) One dachshund is definitely not enough, and I would love to be a mother to human children, as well. I come from a musical family—My dad grew up playing Bluegrass (and even opened for the Byrds. WHAT!) And my brother, Parker, is an amazing musician currently on tour with the band Say Anything. My brother and I talk now and again about collaborating, and I have some ideas of my own, but I just think it would be such a fun project!! My grandmother did it, and when we were in London for Hair, we were exposed to the amazing rail systems Europe has to offer. I would love to do a couple days—maybe a week—and stop in small mountain towns on our journey! Ahhh! Virgin Galactic!!!! Ok, even as I write this I know my wife won't allow it. Or my parents. Or my dog. We'll just have to see. Small ways, big ways. Through actions, through art, through giving. There's always an opportunity to make a difference, and I am constantly inspired by the people around me. They make me think in new ways, lift me up, wake me up, make me a better person. I truly hope to do the same. Check out Allison Case and Andrew Kober in This Is 30 at 54 Below on November 24.